at a time that You may be found. Do you spend more time taking prayer requests than praying? Do you spend more time praying for each other's physical needs than you do for the spiritual needs of others. Has your prayer request time turned into a support group experience? Is gossip being shared in the form of "prayer requests"? Does your prayer request time take away from the goal of your group - to study the Bible together? "Am I measuring the effectiveness of my groups prayer ministry by the length of time taken during group time, or by the continued prayers of the group during the week?" Pass the clipboard - As the group gathers, begin sending a sheet of paper around the room on a clipboard. Encourage the learners to list their names and requests. Email the list to the entire group after the group meeting. This prevents taking up too much time discussing requests during class; it also encourages prayer during the week. Pass a basket - Provide index cards or slips of paper to each group member. Ask everyone to list any prayer requests on the cards/paper. Pass the basket to collect the requests. Send the basket back around the group and instruct each person to draw out a request to pray for during the week. 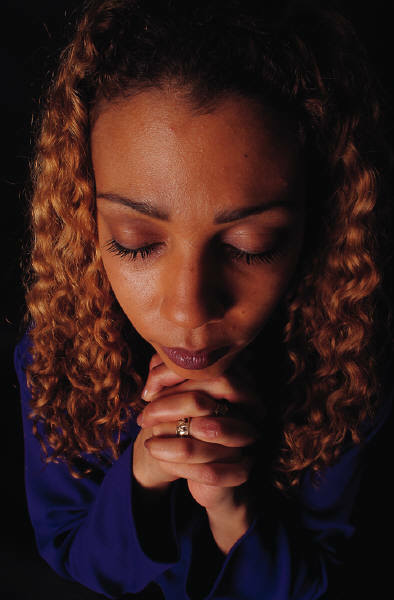 Prayer request visual - As the group enters ask them to list prayer requests on a markerboard or tear sheet. Ask the group to choose one request to lift up during the group time and during the week to follow. Electronic prayer requests - Email prayer lists to your group, or set up a private Facebook page for your group. Lord, give us wisdom as Bible study leaders as we seek to lead our learners to pray. May the prayers of our groups be more than routine. May we be groups that pray without ceasing, and may we celebrate answered prayer.